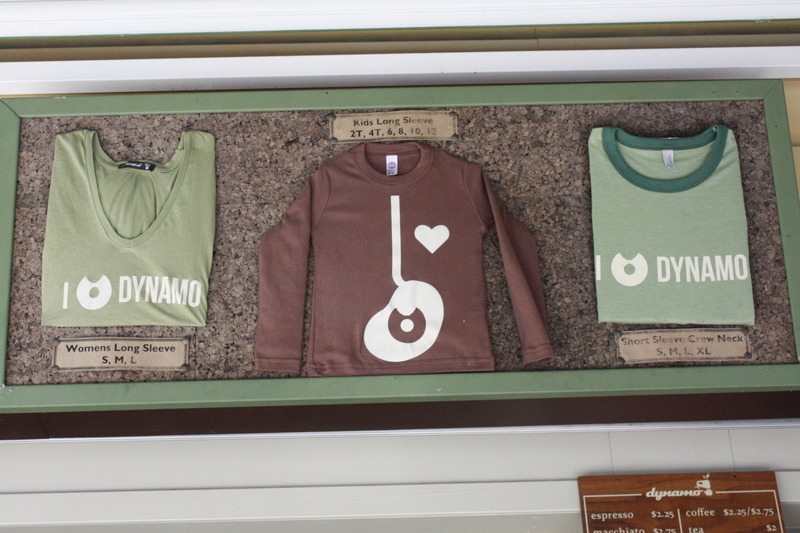 We really love Dynamo Donuts. 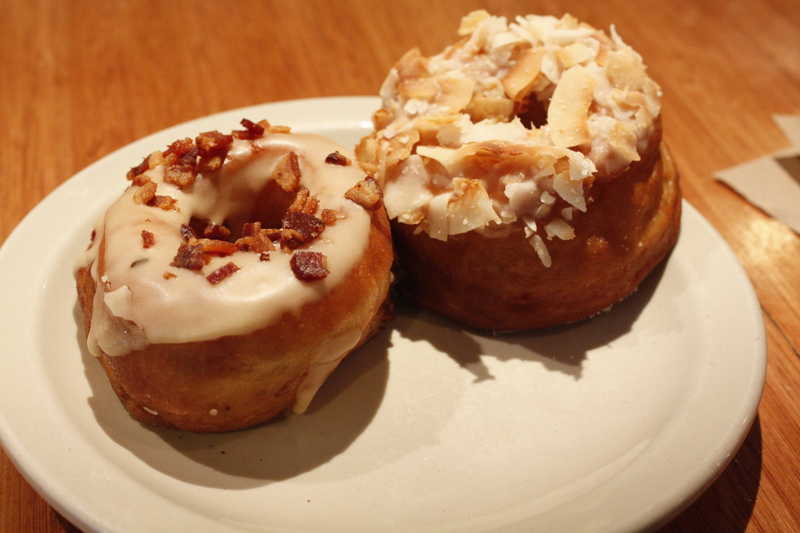 Most donuts are around $2 and the flavors are sophisticated combinations and awesome. 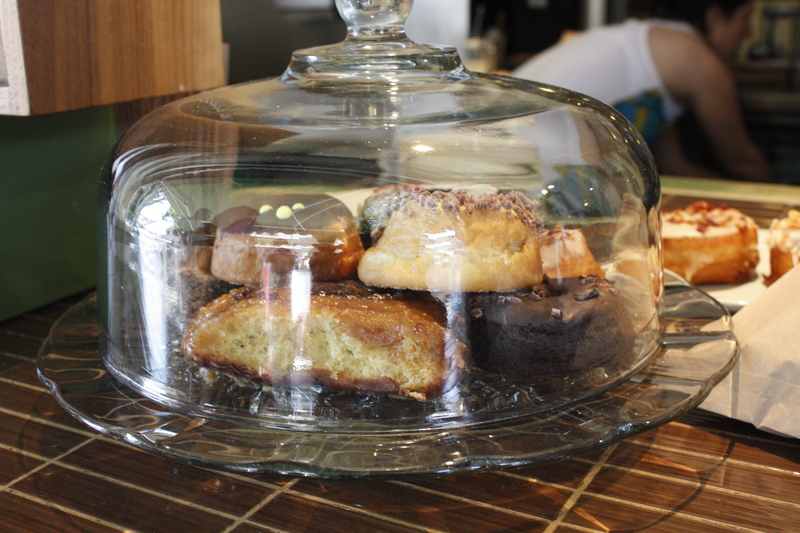 One example is a lemon pistachio donut with lemon zest, lemon icing and toasted pistachios. The gear is adorable too. Love that there are dog donuts as well for $1 and an open kitchen. We have also tried the Spiced Chocolate donut cooked in sugar, cinnamon, chile and chipotle at Four Barrel and loved that one too! 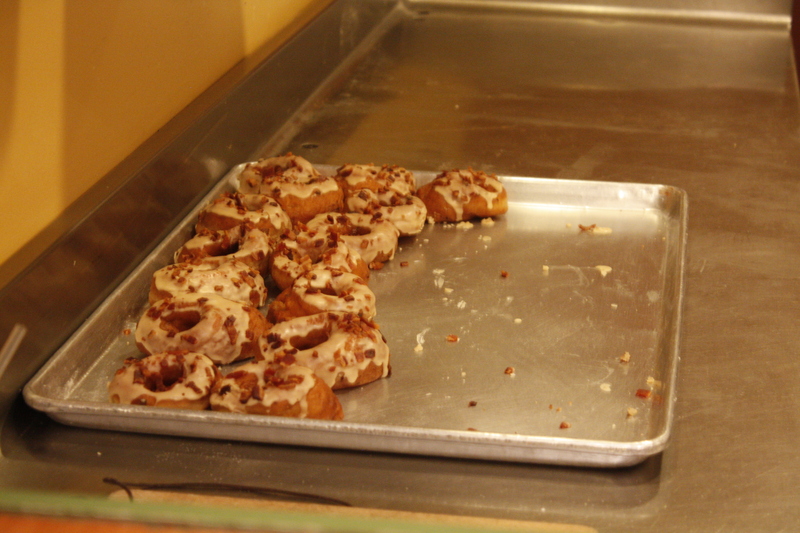 A half a tray of maple bacon apple donuts. Who doesn’t want studded with bacon and apples sauteed in bacon fat with a maple glaze topped in crispy bacon. 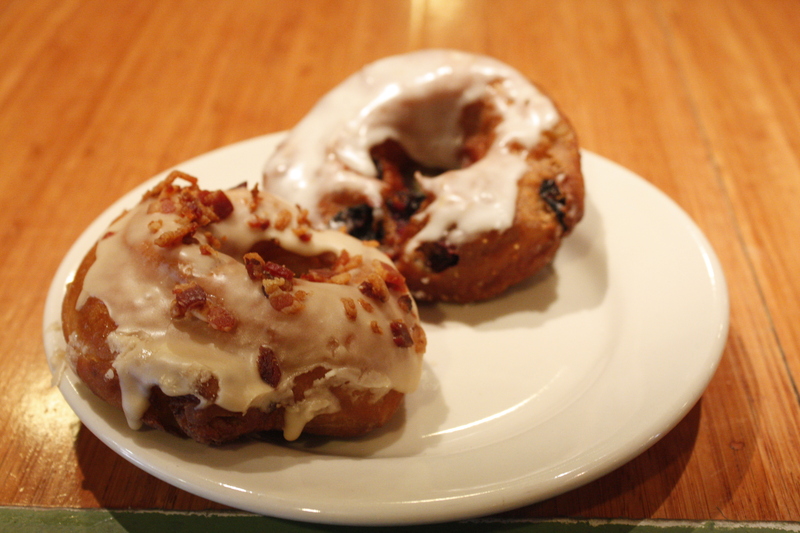 The Maple bacon apple donut is really special. We also had a cornmeal blueberry lemon glazed donut and this was devoured in a few seconds. 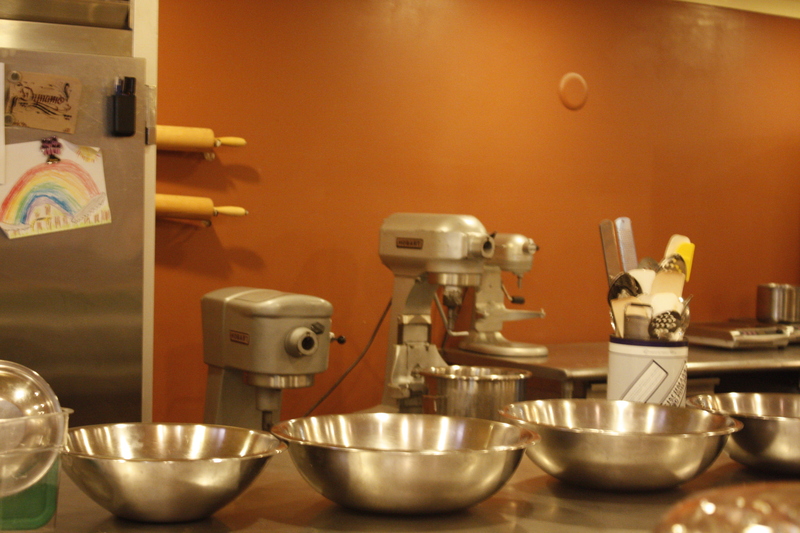 We definitely want to try next time the Saffron Chocolate Donut with saffron and orange zest topped with a chocolate saffron glaze and Molasses Guinness donut with Guinness soaked pears, crystallized ginger and golden raisins topped with a Guinness glaze.